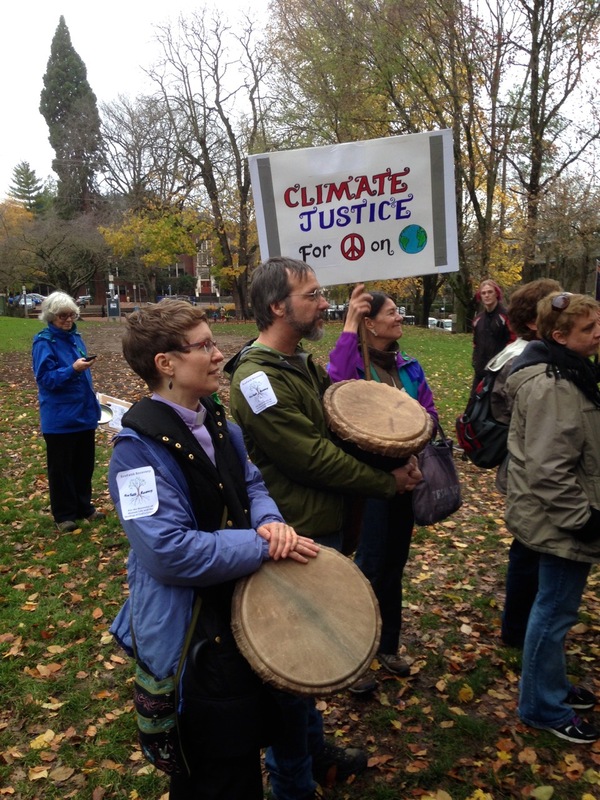 EcoFaith Recovery is a faith-based leadership development effort grounded near the confluence of the Columbia and Willamette Rivers and reaching out to other parts of the Pacific Northwest for the purpose of revitalizing congregational ministries to participate in the healing of creation. Together, we are waking up to the enormity of the ecological-economic-spiritual crisis before us. As we wake up, we are discovering that we are part of a much greater spiritual awakening an awakening that allows us not only to see into the depth of the crisis, but to commit ourselves to be a source of inspiration and healing within this crisis. Therefore, we envision ourselves as a tree of life, rooted and growing at the confluence of Ecology, Faith and Recovery three deep and wise tributaries, merging to form a powerful, rushing river of life-giving water. This river nourishes the soil for ancient and new trees of life to grow and thrive along its banks, producing abundant fruit and leaves that are “for the healing of the nations”. Rooted at that confluence, EcoFaith Recovery is fed by the deep waters of the Christian faith tradition, the environmental and ecojustice movements, and the 12-step recovery movement. Fed by the Recovery movement, EcoFaith Recovery acknowledges that not only have our “lives become unmanageable, but for those of us in the world, our entire way of life has become unsustainable individually, institutionally and globally. Therefore, we acknowledge our need on every level of our personal and public lives to go into eco-faith recovery, share our stories in community, discover our collective power, and turn to a higher spiritual power in order to effectively face this crisis with creativity and imagination. Fed by the environmental and ecojustice movements that have expanded our awareness of the climate crisis, and opened us to the majesty and mystery of our place within the 13.8 billion year old story of the universe, we bring people together who dare to allow themselves to be shaken shaken not only by the tragedy and depth of this crisis, but also by the astounding power and hope available within this cosmic story, in which we are participants. Fed by the Christian tradition, we draw upon the rich biblical, theological and spiritual resources of our faith to inform and sustain this work of personal, communal and institutional recovery. Because our Christian institutions are also complicit in the systems that are destroying the planet, we participate in prophetic critique and expansion of our own tradition, renewing and enlivening the power of Christian community and witness during these challenging times. We invite you to come and grow with us as a tree of life in these challenging times. While fed by the Christian tradition, we understand ourselves at our core to be people of the earth, people in community. Therefore, we seek and invite partnerships with people and institutions from other faith traditions and spiritual perspectives who are also discovering what it means to go into “eco-faith recovery, so that together we might re-imagine and re-create our common life on our beloved planet earth. Five more internships will be added to the 25 already offered to equip young adult leaders to make a difference in a world facing the devastating implications of climate change but still hoping for a better future. If you’re hungry to get a taste of what this experiment is really about, take a look around our website, and sign up to receive email updates about our Initiatives!